These stamps are perforated 14. Some very rare overprints exist with the word 'Neutrality' applied on the stamps which bear already the 'Republic of China' overprint (as in the postage stamps of that area, forged overprints exist!). The values 1/2 c brown, 1 c blue, 2 c brown, 4 c blue, 5 c blue, 10 c blue, 20 c blue and 30 c blue exist with this additional overprint. These stamps have perforation 14. More overprints were made after 1920 for this province. I have seen the values 0f10 green on green, 0f20 blue on blue, 0f30 brown on yellow and 0f40 red on lilac. The value 2 F violet on lilac should also exist. 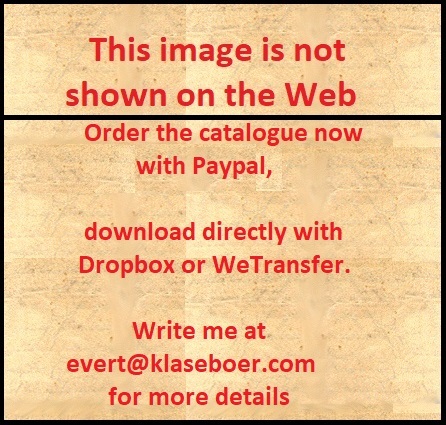 The value inscription is always in the colour red. 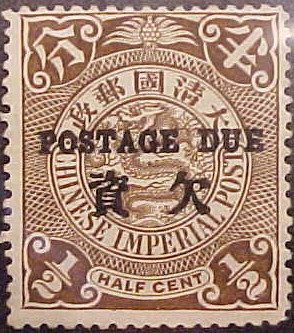 These labels were first issued in 1899 with inscription 'CHINESE IMPERIAL POST'.